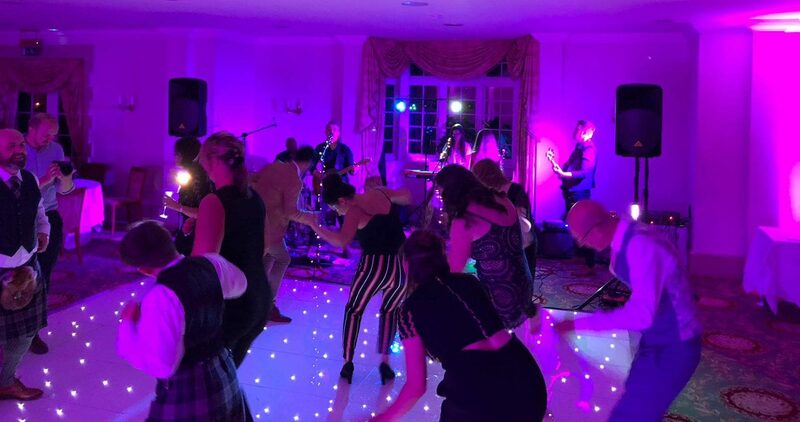 Our amazing wedding bands love nothing more than a dance floor of guests ready to have the night of their lives! The atmosphere of a professional function band playing party hits to a crowd who are singing the lyrics at the top of their lungs is one you cannot forget in a hurry…and this is exactly what happened at this recent wedding. Infinite Groove performed at Luton Hoo for a beautiful September wedding. They were greeted with a spectacular crowd of people who were ready to kick off their heels and dance until their feet got sore. With a fantastic starlit dance floor and bright pink and purple lights, the wedding reception was a magnificent sight. 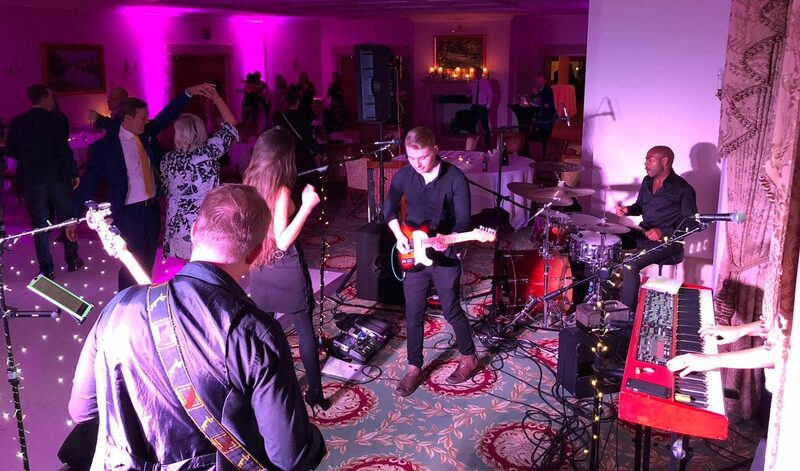 For Ben’s wedding, he booked Infinite Groove’s 5-piece band which consists of their sensational female lead vocalist, male backing vocals and guitar, backing vocals and keys, bass and drums. Infinite Groove brought the party to Ben and his partner’s big day! 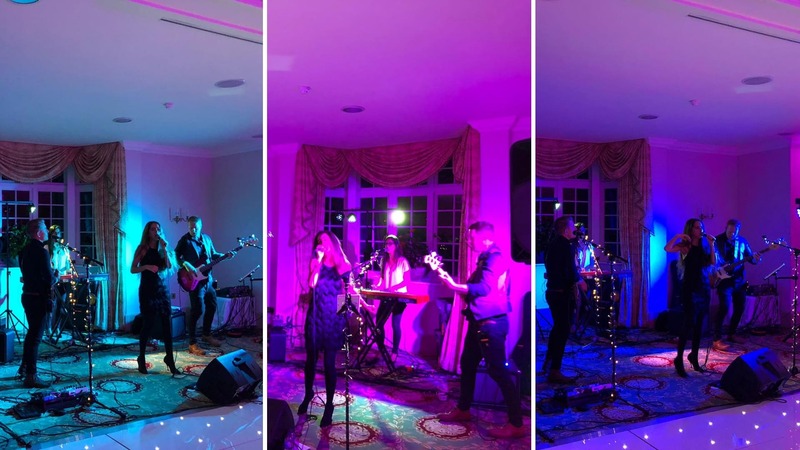 Greater London based wedding band Infinite Groove perform an exciting set list of pop chart-toppers from the 10s, 00s, 90s all the way back to the 40s! Their eclectic repertoire features artists such as Bruno Mars, Ed Sheeran, Beyonce, Shakira, Whitney Houston and even Marvin Gaye. Infinite Groove always deliver an exhilarating, high-energy performance complete with outstanding vocals and slick and professional musicians of the highest calibre. 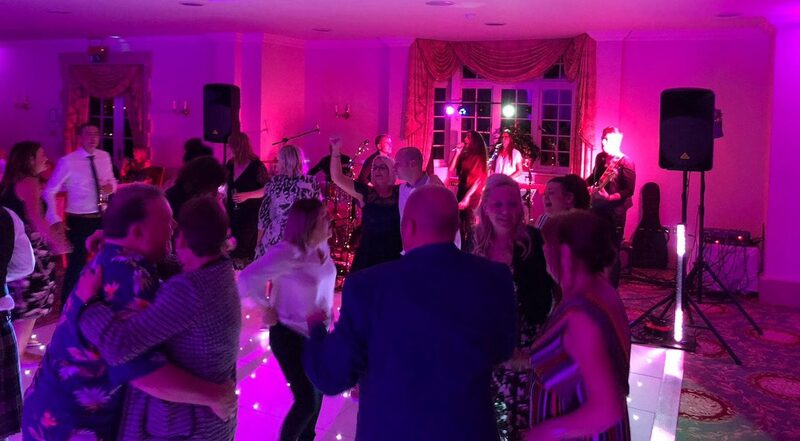 If you want to get your wedding band, party band or corporate entertainment booked in, then get in touch with our team of experts on 0800 53 000 35, drop them an email on info@entertainment-nation.co.uk or chat with them directly on LiveChat. We are on hand from 10am until 10pm every single day to answer all of your questions, no matter how big or small. We want to ensure you have the perfect event and have some dazzling entertainment to match. We look forward to hearing from you!